and ask Him to help me through the day. I ask Him to help me find my way. I ask Him to help me feel at peace. I ask Him to help me feel relief. I ask Him to help me make a choice. And help me to hear His loving voice. in a song or a dream or in beauty that surrounds me. 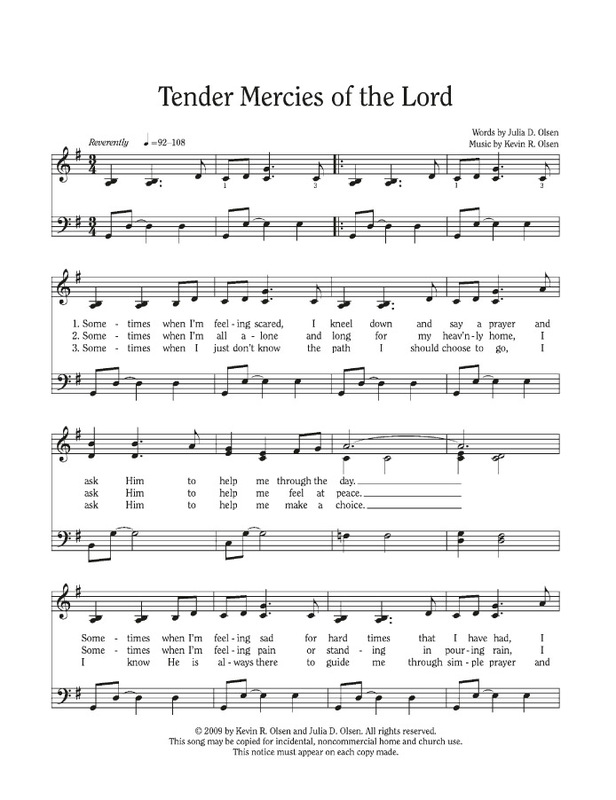 I’ll see the tender mercies of the Lord. © 2009 by Kevin R. Olson and Julia D. Olson. All rights reserved. 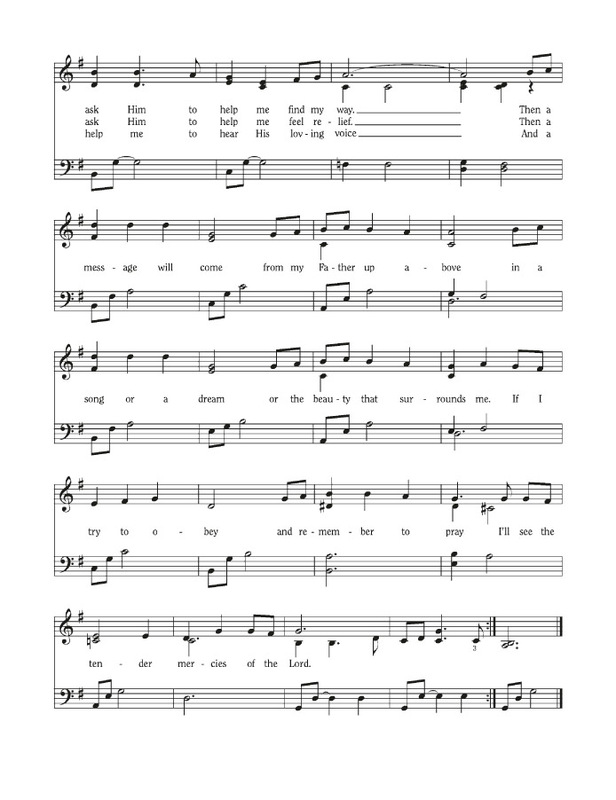 This song may be copied for incidental, noncommercial home and church use. This notice must appear on each copy made.